Wing Lee To Go… Delivers ! Union Street Location can now receive phone orders, or you can also fax us your order at 207 771 8898. Thank you! or Have Us Deliver To You! Now Open at Union Station Plaza, Portland, ME! 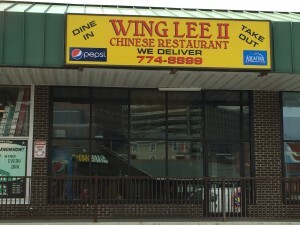 Announcing our second location Wing Lee II, in Portland, at 280 St John’s Street, located in “Union Station Plaza”, come in and enjoy the same fine food we’ve been serving in Scarborough for years, or pick-up and if you want we’ll deliver right to your place of business or home ! Both locations, offers “home-made” quality Chinese food. Serving a full menu of appetizers, chicken, beef and pork dishes, as well as vegetarian menu items. 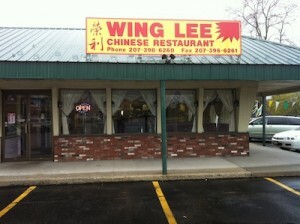 Wing Lee is noted for its consistently great food and friendly service. We offer lunch specials, full course and combination dinners, and a children’s menu to keep everyone happy. We also have a variety of authentic Szechuan dishes, as well as many delicious chefs’ specialties. Visit us at our Scarborough and now new Portland location, take advantage of our take out menu, or let us deliver to you. We now deliver from our Scarborough location, to Scarborough, Saco and Old Orchard and from our Portland location, we will deliver to Portland, South Portland and Westbrook, try us out, you won’t be disappointed, we guarantee ! Entries (RSS) and Comments (RSS). 47 queries in 0.385 seconds.